Naoki Higashida, at the age of 13, has done the unthinkable. He is autistic and he has penned this book, in the form of 58 questions commonly asked by caregivers of such children, and perhaps even an outsider. He has won over enormous odds and transported first-hand knowledge from the severely autistic mind into the wider world. He continued his writing, after this book, maintains a regular blog and is a well-known entity in autism advocacy circles. This is a memoir of sorts, just differently crafted. And it ends with a short story written by him. One of the many problems children with autism face is that they don’t have the means to express themselves, and often even their own parents don’t have a clue what they might be thinking. For anyone, to live life, nothing is perhaps more important than being able to express themselves. Autistic children are just not able to do that. Can you imagine how your life would be if you couldn’t talk? When autistic children try to talk, what comes out is termed as “verbal junk”. The truth is these children actually like company, unlike popular belief, but because of inherent disabilities, they often end up being left on their own. They struggle with their mind and bodies to make them do what they want; but things are never in their control. If one of us is going through a rough time, we can talk it over with someone. But, with them, that is not even an option. Their senses and perception are different – more primeval. Uncertainty doesn’t bode well with them. They like repetition and fixed, unchanging things; hence the obsession with numbers. Everyone should read this one – whether you know or don’t know, whether you have met or not met, someone with autism. Not only will you realize how blessed you are; but it will also give you an insight to the many challenges such children face – and how they are struggling to survive, daily. Emotional poverty and an aversion to company are not symptoms of autism, but its consequences. They have as much empathy as we normal people do – it is just that they aren’t able to express it. And no – this is not a tear-jerker or a cry for sympathy. It is a factual representation of one autistic child’s mind; in the hope that people can understand the likes of him. 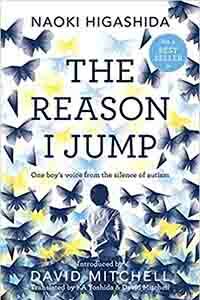 As David Mitchell said in his foreword – it helped him understand his own autistic child.